Virginia Wesleyan University offers several accelerated degree options in cooperation with other colleges and universities. In most cases, these programs involve a course of study at Virginia Wesleyan followed by a related course of study at the partner institution. Degree options vary. Find out more about the individual programs below. 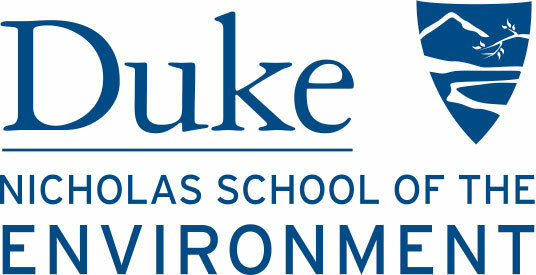 The Cooperative College (3-2) Program allows students to proceed directly from three years of undergraduate study at Virginia Wesleyan University to two years of study at Duke University's Nicholas School's Master of Forestry (MF) or Master of Environmental Management (MEM) program. Virginia Wesleyan University's unique partnership with the University of Virginia’s Frank Batten School of Leadership and Public Policy promotes enrollment of graduating Batten Honors College (BHC) students in the Master of Public Policy (MPP) program at the Charlottesville-based institution. Each year one seat in the master's program will be reserved for a BHC graduate who meets MPP admission criteria. Through the creation of the joint program in medicine, talented, qualified students at Virginia Wesleyan University may apply for admission to Eastern Virginia Medical School during the fall semester of the sophomore year. Individuals selected for admission into this program are expected to complete a challenging academic program at VWU and to obtain substantive exposure to the field of medicine as an undergraduate. Upon completion of a 4-year bachelor's degree at VWU, students in this program are guaranteed admission in the Eastern Virginia Medical School. Through the University’s Early Assurance Program with Eastern Virginia Medical School, VWU students have an enhanced opportunity to earn graduate degrees in eight EVMS master’s programs. The Early Assurance Program with EVMS gives admission preference to VWU students interested in pursuing advanced degrees. 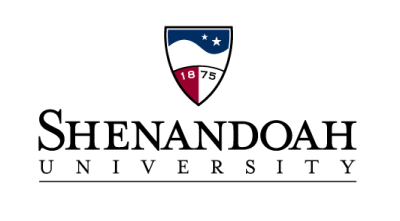 An official Agreement with Shenandoah University's Bernard J. Dunn School of Pharmacy for Pre-Admittance and Joint Degree Options gives priority status to a maximum of five Virginia Wesleyan students per year who have completed at least 64 semester credit hours. Virginia Wesleyan University has a 3-2 cooperative education agreement with Washington University in St. Louis, one of the nation’s top-ranked Programs in Occupational Therapy. Please note that this program is competitive and selective, and early planning and preparation is encouraged. The Pre-Engineering Program offers students the opportunity to earn both a Bachelor of Science degree from Virginia Wesleyan University and a Master's degree in Aerospace, Biomedical, Civil, Compute​r, ​​​Electrical, Environmental​, Mechanical, Modeling & Simulation, or Systems Engineering from Old Dominion University. Students attend Virginia Wesleyan for four years and ODU for one year. Starting their junior year, students take one or two engineering courses each semester at ODU while enrolled at VWU. After graduating from VWU, students are automatically admitted to the one-year Master of Engineering graduate program at ODU. Students are also eligible for the longer Master of Science in Engineering program. This agreement guarantees admission, with scholarship opportunities, in the Candler School of Theology's Master of Divinity or Master of Religious Leadership programs. To be eligible, VWU graduates must meet Candler admission requirements and must have successfully completed courses in the Department of Religious Studies (or religiously-themed courses in the Departments of History and Philosophy). Minimum GPA requirements apply. This cooperative arrangement offers students the opportunity to earn a bachelor’s degree from Virginia Wesleyan University and a J.D. from Regent University School of Law in six years.